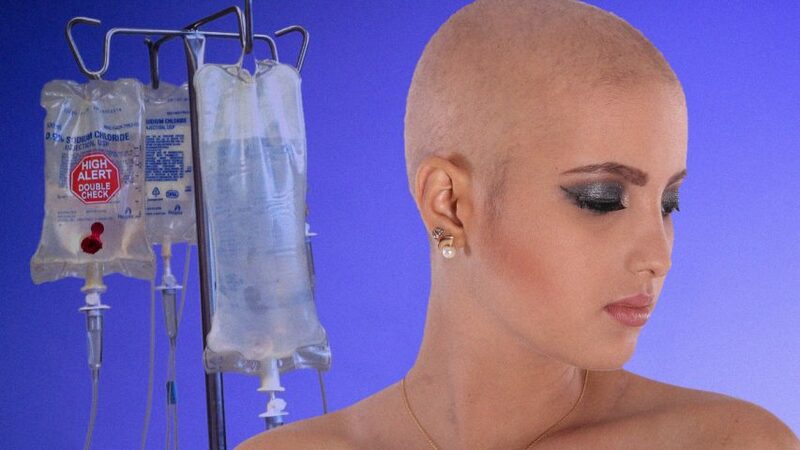 A new study has found that women undergoing chemotherapy treatment for cancer suffer more toxic side-effects than men. Presented at the European Society for Medical Oncology (ESMO) conference in Munich, Germany, the study analyzed data from four randomized controlled clinical trials conducted in the UK and Australasia. Compared to men, women were found to experience significantly higher rates of nausea and vomiting, with an increased likelihood of encountering severe toxicity symptoms. Far from acknowledging that chemotherapy indiscriminately kills cancer cells and healthy cells alike, however, the researchers simply concluded that further research is needed on the treatment’s impact and toxicity in women. The four trials analyzed in the study looked at chemotherapy combinations used in patients suffering from advanced esophageal and stomach cancer. 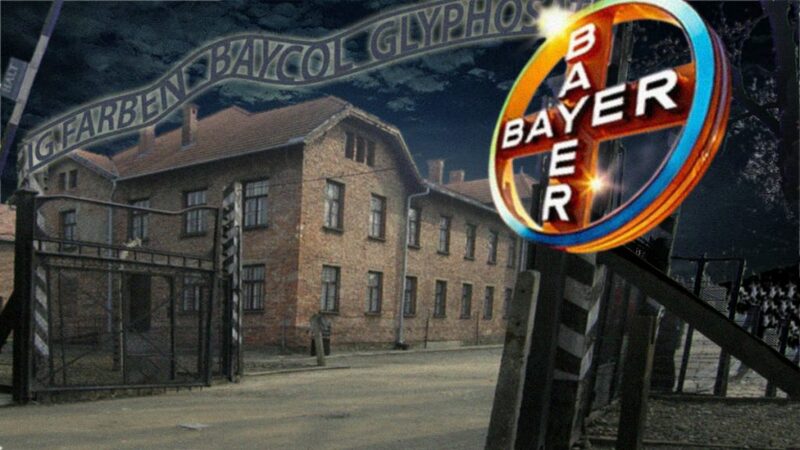 The researchers looked at data on 1,654 patients, of whom 80 percent were male and 20 percent female. In addition to higher rates of nausea and vomiting, they found women were also more prone than men to developing diarrhea, mouth ulceration, and hair loss. The real tragedy of the study reported at the ESMO conference is that despite recognizing the extreme toxicity of chemotherapy treatments, it fails to make any mention of the fact that a decisive breakthrough towards the natural prevention, control, and elimination of cancer in both men and women has already been made. Unknown to the majority of cancer patients worldwide, the initial discoveries towards reaching this scientific milestone were made more than two decades ago by Dr. Matthias Rath. By the end of 2001, in work led by Dr. Aleksandra Niedzwiecki, researchers at the Dr. Rath Research Institute had already obtained their first scientific confirmation that key steps in the development of cancer can be controlled naturally through the use of micronutrients. The researchers subsequently went public with this life-saving information by publishing a full-page announcement about it in USA Today, the newspaper with the world’s largest English language circulation. Since that time, the institute has published countless more studies demonstrating the effectiveness of micronutrients against cancer. Based on their results, it is now a scientific fact that micronutrient-based approaches can block all key mechanisms that make cancer a deadly disease. 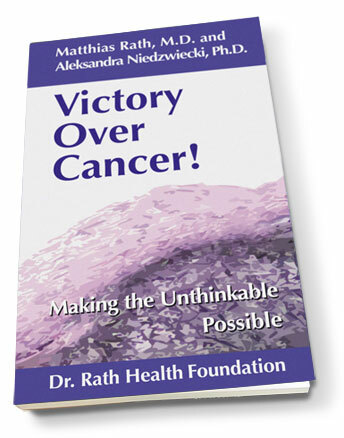 As documented in the book Victory Over Cancer, natural therapies utilizing the synergistic power of the Cellular Medicine micronutrient approach have been shown to inhibit the multiplication of cancer cells and growth of tumors; the spread of cancer (metastasis); the formation of blood vessels in tumors (angiogenesis); as well as inducing the natural death of cancer cells (apoptosis). As a result of this work, the extensive research conducted by the Dr. Rath Research Institute’s scientists has definitively proven that a specific combination of micronutrients – including vitamin C, the amino acids lysine and proline, and an extract from green tea – work together synergistically and are effective in controlling over two dozen different types of cancer. With separate research also now showing that, in some hospitals, within 30 days of starting treatment, chemotherapy kills up to 50 percent of patients who receive it, the blatantly false claims that the pharmaceutical and medical status quo has made about this toxic therapy as a treatment for cancer are no longer credible. The more patients begin to learn about this and realize that a cancer-free world is possible, the more they will inevitably turn their backs on toxic cancer treatments and choose to take their health into their own hands. Ultimately, therefore, while the attendees at the ESMO conference may not yet realize it, achieving a world without cancer depends just as much on patients themselves as it does on doctors and scientists.